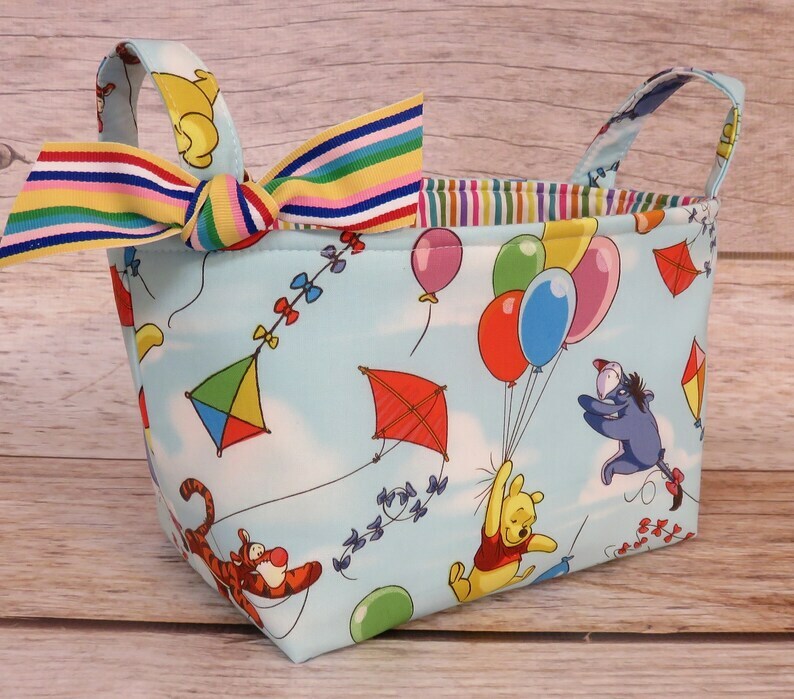 ● Winnie the Pooh Balloon Friends Tigger Eeyore Fabric for the outside. ● Coordinating Stripe fabric for the inside/lining. ● Accented with Fun Stripe Ribbon. ● The 4th picture gives an idea of the amount of diapers the fabric bin will hold - perfect for the baby's changing table.